I fell in love with the desert when I visited my dad last month. It’s beautiful. I was trying to put my finger on what I loved about it. I think what I loved is that it reminded me of home. Spokane lives on the edge of the high desert of Eastern Washington. For most of my life we drove through it to get to Portland and other destinations on the Western side of the state. Each time (even now), after passing through the lush, wet, greenery of the Westside, the dry, stark Eastside seemed like nothing. It’s home, though. And the climate feels like home, too. The California/Arizona high desert is equally as stark, but there is a quiet, peaceful beauty to it. Someday I will post more photos from my trip (if I ever develop the film). 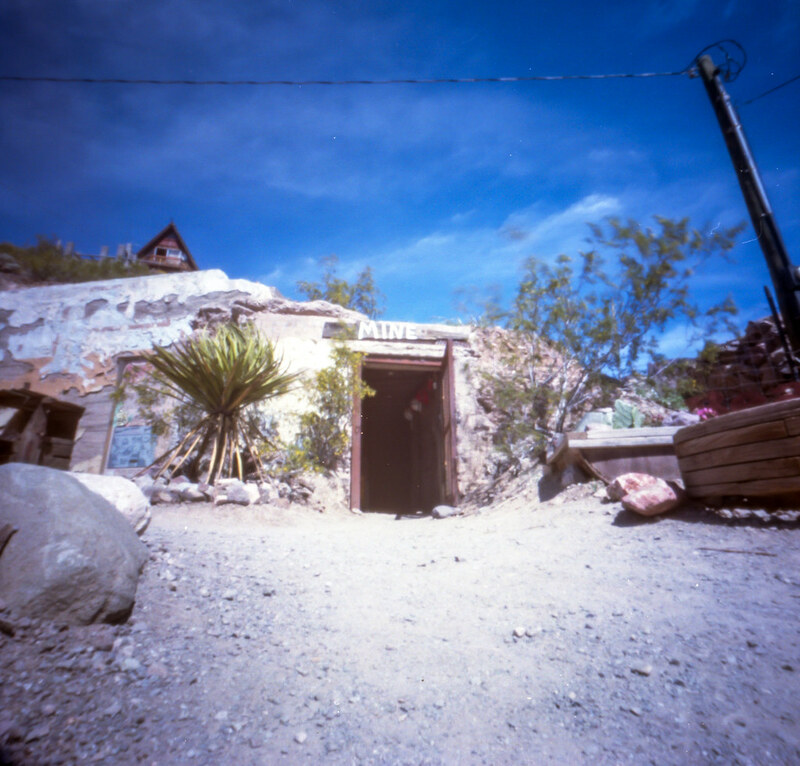 Today, I give you a photo of an abandoned mine from the ghost town, Oatman Arizona.